Pol Prats is the founding director of Spank the Baby School in Barcelona. He has taught in different festivals in the UK, Sweden, Portugal and Finland including Stir it, Gnsh and London Swing Festival. He has been finalist in Good Night Sweetheart and Barswingona Jack and Jill competitions and Semifinalist at Frankie ‘ 95 in NY, as well as being a member of the Barcelona Jazz Cats performance troupe. African dance, tap dance, Alexander technique and others have been part of Pol’s interests and is recently fond of acrobatic dance. Co-founder of the BCN Shag Festival. Sara Planas started dancing classical ballet when she was 4. Ballet, contemporary, hip hop… dance has always accompanied Sara. It was not until 2009 that she fortunately discovered lindy hop and has been a passionate dancer and teacher since. She teaches Ballaswing School and is part of the Spank the Baby team teaching lindy hop, jazz steps and aerials. 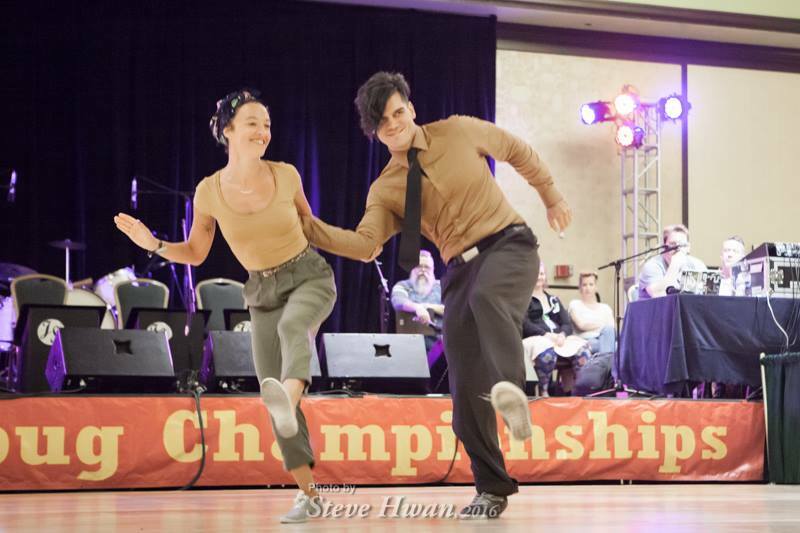 She has competed in the Barswingona and European Swing Dance championship Jack and Jill (Placed 2nd Open J&J 2011). 2nd place in the Shag Contest in the MBSW 2015 together with Pol Prats. She has been spreading lindy hop and shag and acrobatics in other cities in Spain and outside the country like Geneva (Switzerland) and Dublin (Ireland) and London. Co-founder of the BCN Shag Festival and member of the Euro Shag Team, member of the jazz steps group: Les Puces together with Lucile Pinteaux.